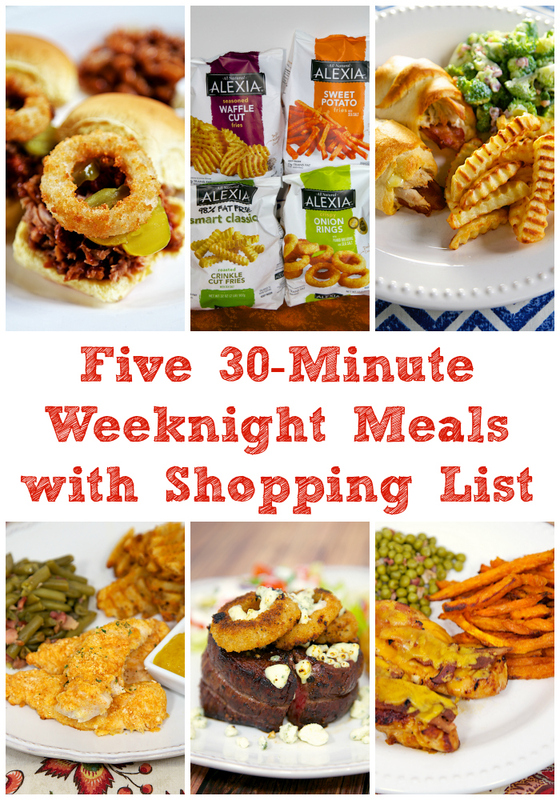 Five 30-Minute Weeknight Meals with Shopping List - five recipes to make weeknight meals easy! The holidays are super hectic. I don't know about you, but I am always on the lookout for quick weeknight meals. Especially meals that can be ready in 30 minutes. With the help of Alexia Foods, I've come up with five weeknight meals that can be ready in about 30 minutes. Woo Hoo! I've have a menu and a shopping list for you!! 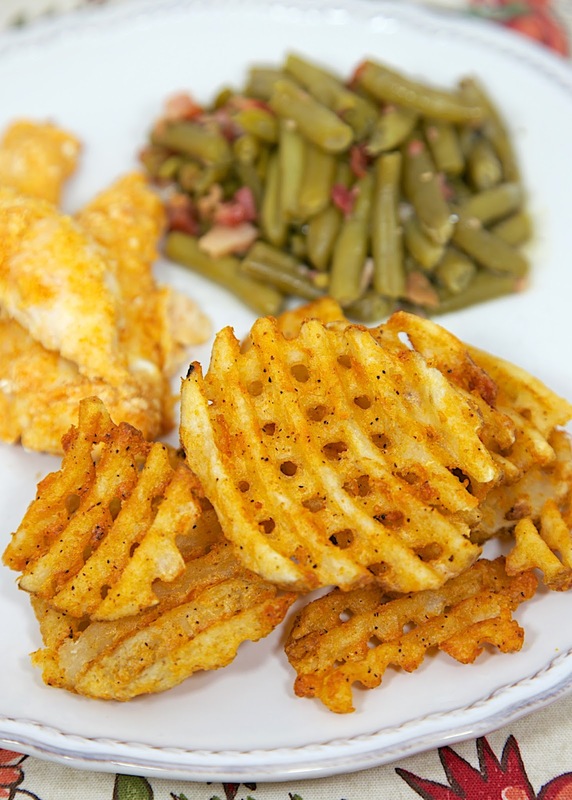 Place Alexia Seasoned Waffle Cut Fries on baking sheet and place in oven. Set timer for 15 minutes. Prep the Ultimate Chicken Fingers. Place in oven when timer goes off. Set timer for an additional 15 minutes. While chicken fingers are cooking, prepare Ranch Style Green Beans. 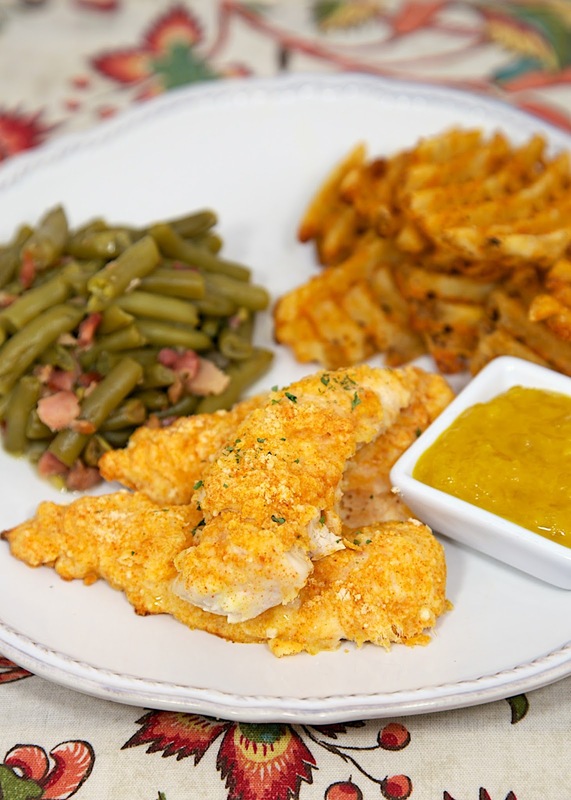 Remove chicken fingers and fries from oven. The Seasoned Waffle Cut Fries were really delicious! I loved the combination of sea salt, pepper, onion and garlic! They were also super crispy. I just used a can of store-bought baked beans. 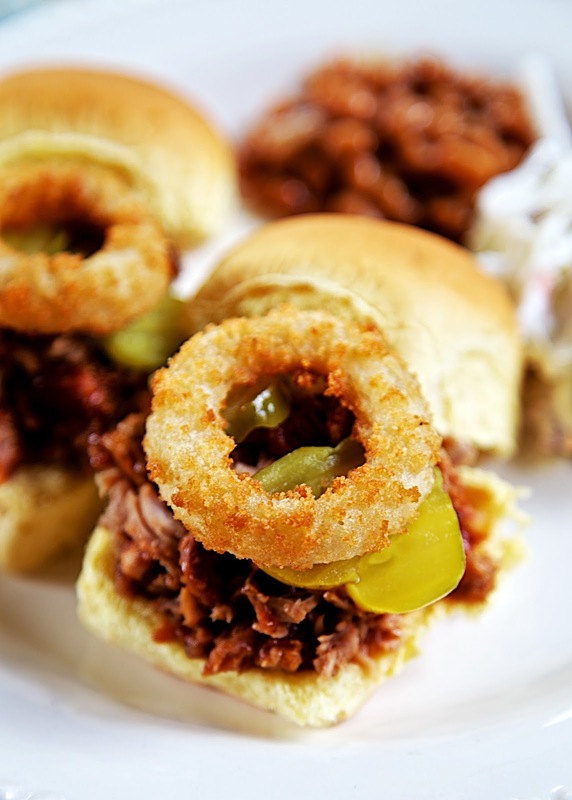 Prepare 3-Ingredient Pulled Pork Tenderloin in slow cooker in the morning. 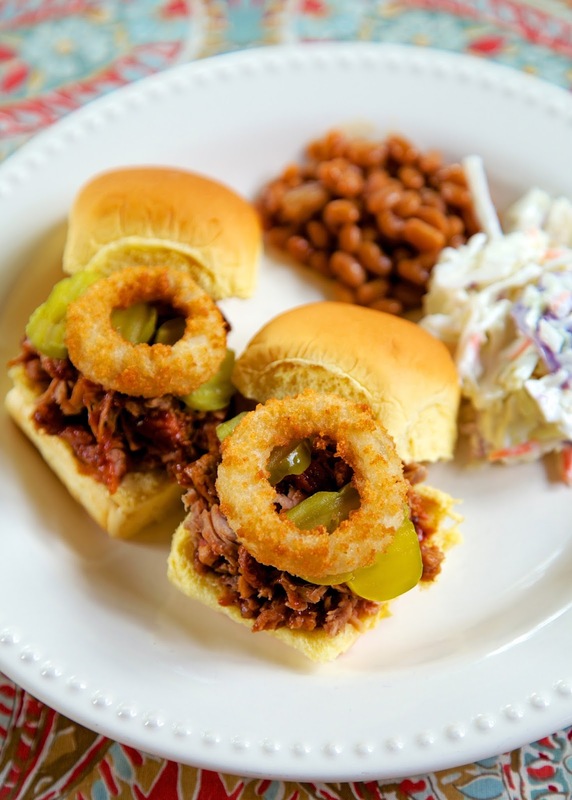 When you are ready for dinner, prepare onion rings, baked beans and slaw. The onion rings were the best store bought onion rings we've ever eaten. Heck, they were better than most restaurants. They are made with sweet Spanish onions and turned out really good and crispy. We are definitely working them into our menu more often. I basically used the same recipe as the Quick Ranch Slaw above. I used raw broccoli instead of the slaw mix. Place Alexia Smart Classics - Roasted Crinkle Cut Fries with Sea Salt on baking sheet and place in preheated oven. Set timer for 15 minutes. Prepare Turkey Bacon Roll Ups. When oven timer goes off, reduce oven temperature to 400 degrees. Place Turkey Bacon Roll Ups in oven with fries. Set timer for 15 minutes. While roll ups and fries bake, prepare Quick Broccoli Slaw. Chop broccoli and toss with Ranch dressing and cooked bacon pieces. Set aside. Remove roll ups and fries from oven. For being 98% fat free and having only 100 calories per serving, they were amazing! Chicken Legs has requested these as our standard french fries. 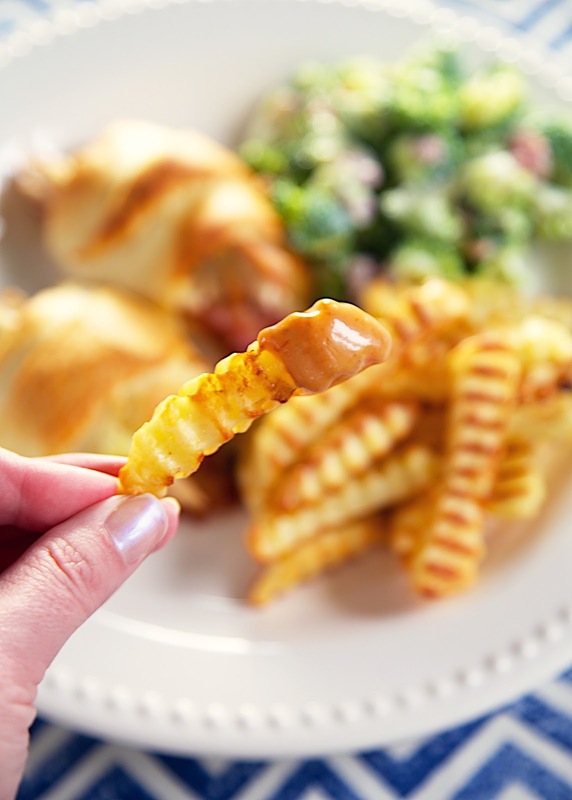 Served the fries with a copycat Chick-Fil-A sauce. 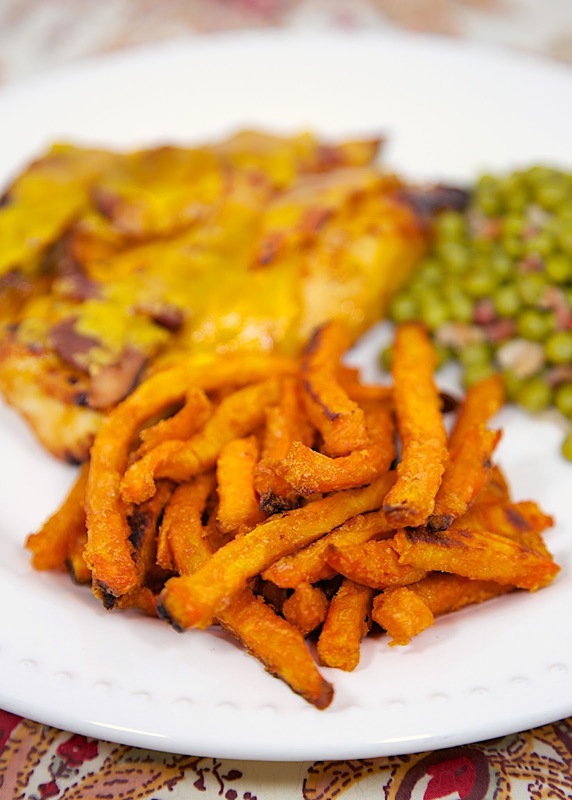 Place sweet potato fries on baking sheet and place in preheated oven. 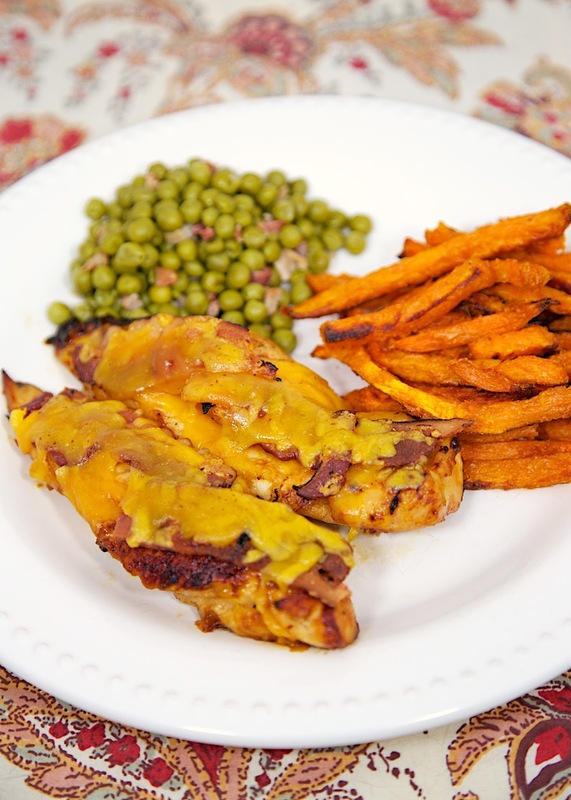 While fries are cooking, cook chicken in skillet for 2-3 minutes per side. You just want to get some nice color on it. Place seared chicken on baking sheet. The original recipe says to bake the chicken at 400 degrees. I just baked it a minute or two less at 425 degrees. When the timer goes off, place seared chicken in oven. Set timer for 8 minutes. Prepare Green Peas with Crispy Bacon. Remove chicken. Top with bacon and cheese. Return chicken to oven and bake until cheese is melted 3-5 minutes. Remove chicken and fries from oven. The Alexia Sweet Potato Fries with Sea Salt were really good. We both loved the flavor and how crispy they got in the oven. They weren't greasy at all! We served the steaks with a quick salad. We love cooking steaks on the weekend. This recipe for Steakhouse Filets only takes a few minutes to make and you have a delicious meal that is better than any restaurant. Preheat the oven to 400 degrees and start cooking onion rings. 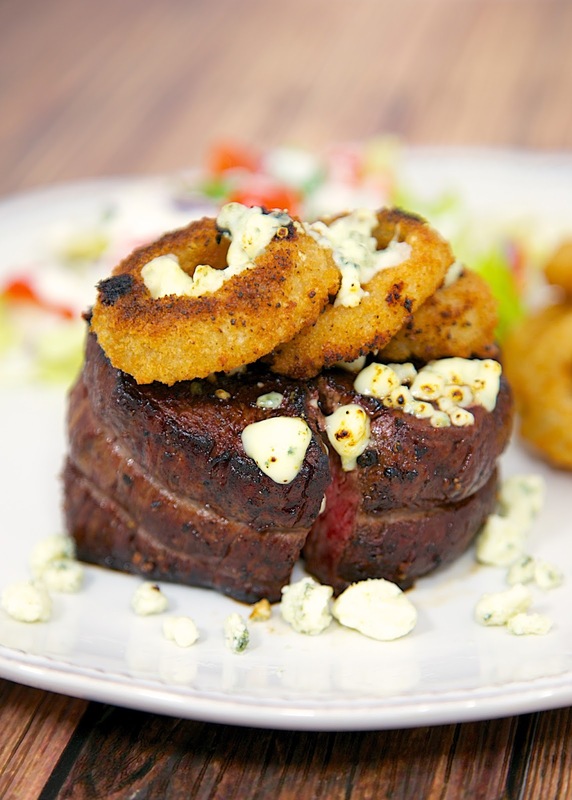 Sear the steaks in the skillet and let them finish cooking in the oven with the onion rings. 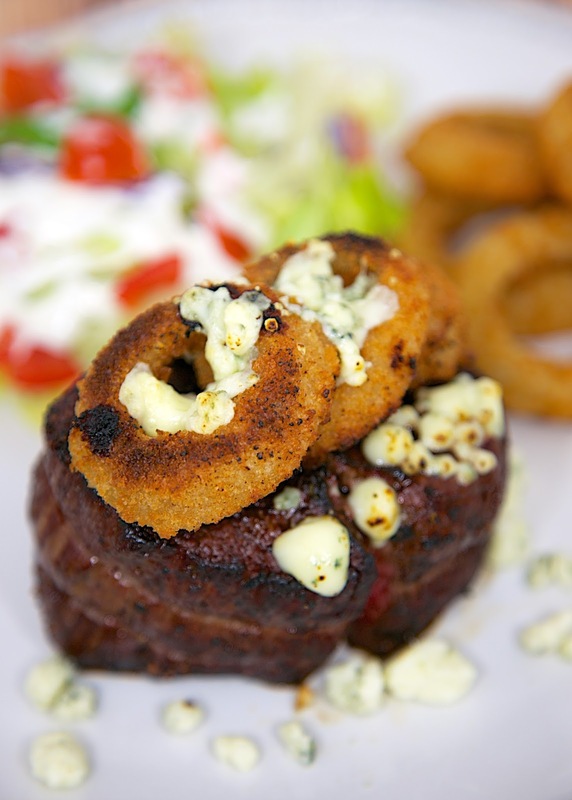 Top the steaks with onion rings and some bleu cheese crumbles. Put the steaks under the broiler and let the bleu cheese melt. Click on the photo above for printable shopping list. 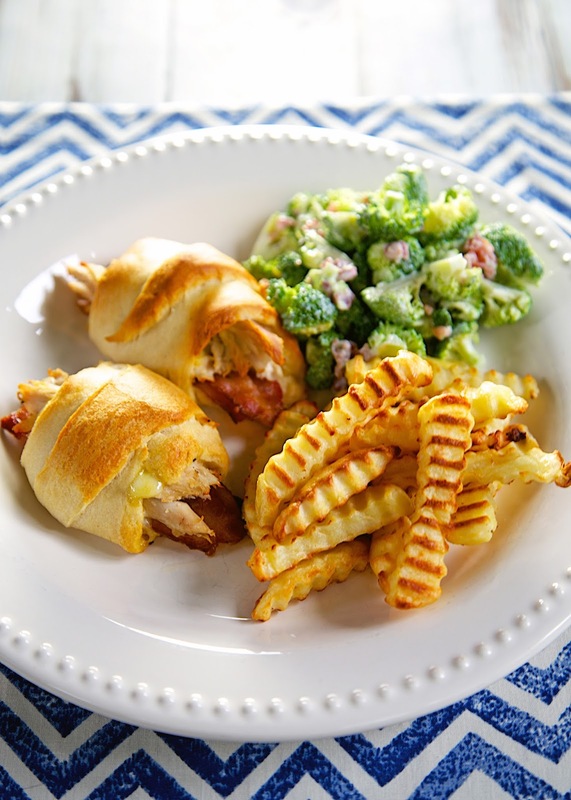 Alexia frozen sides are a delicious addition to any weeknight meal! They are that little something extra to help create a balanced meal with real ingredients and an exceptional taste! Sign up for the Alexia Club 350 newsletter to be the first to hear about new products & promotions, get recipes and tips from other members and even contribute your own ideas! This is a sponsored conversation written by me on behalf of Alexia Foods. The opinions and text are all mine. I good easy go for any of these fine looking meals. I cook enough meat on the weekend and cook frozen veggies in steamable pouches in microwave.